Local Charlotte gigs are always nice, especially when the Shoot is E:60 and it’s 5 minutes from my neighborhood. NBA’s Patrick Ewing made the biggest impact of any player in Big East history and in his senior year put an exclamation point on his college career, that was basically the tag line for out shoot. I arrived to the the Bobcats arena with my F3, Pix240 and prime Nikon lenses and set up in a suite we had reserved. The suite wasn’t as big as we had hoped but when you have prime lenses it’s easy to get depth. After a bit of lighting and rigging of some background elements, we were set. The interview was awesome, and it was great to hear Patrick still reminiscing and still talking trash about a game that took place before I was even born. 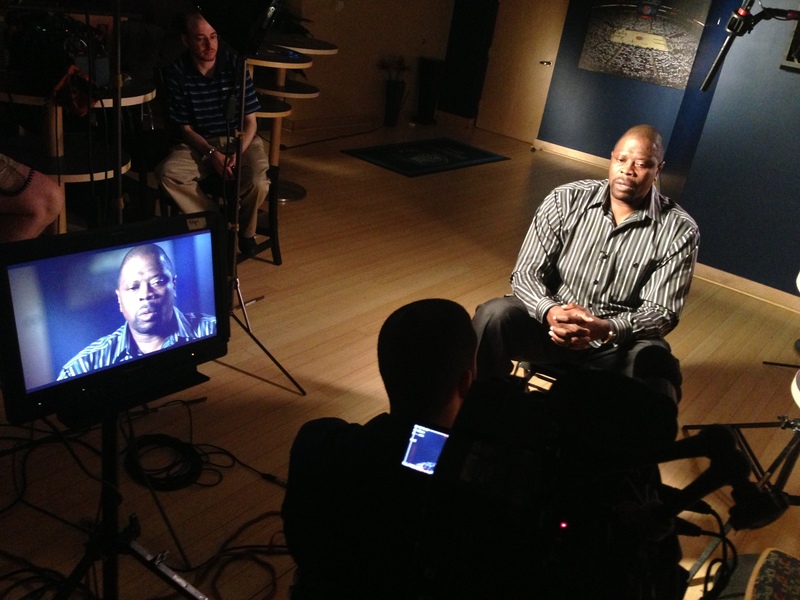 Patrick Ewing has some ginormous hands and feet. I cold take him one on one any day!